Red Olive developers— we’re just like you. We spend way too much time on social media. We wake up, we work, and we have fun doing it. Another thing we do? We search thousands of how-to articles to learn new tricks. Recently, a few of our developers spent a chunk of time learning how to work Giphy. After browsing the Internet for far too long, they forwent their search and went through the process blindfolded. Learn how they did it by starting with the basics. 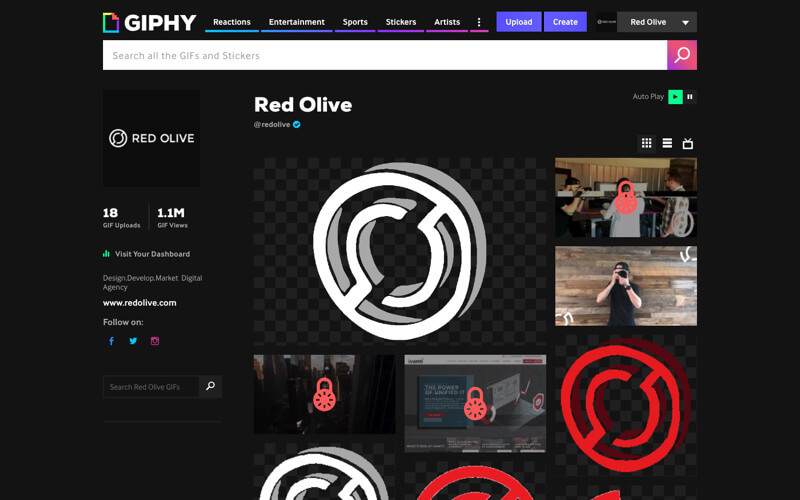 Giphy is a platform that easily allows users to create and share content. This platform offers a robust API (application program interface) that’s used throughout the IOS and Android atmosphere. 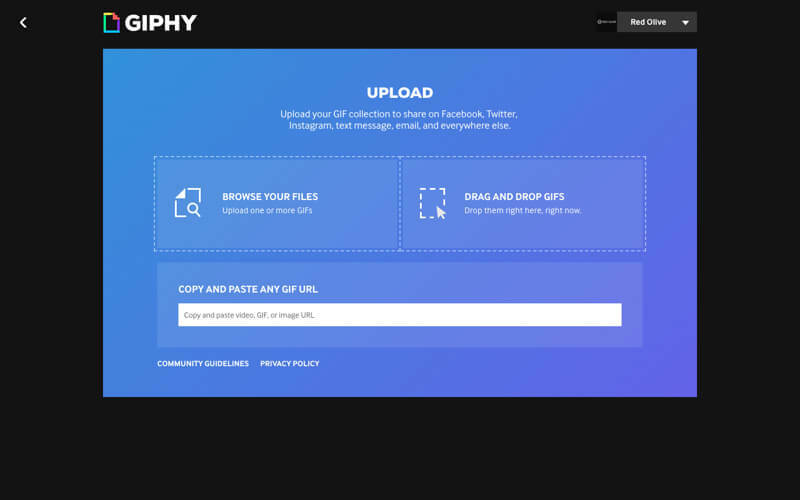 The GIFs generated on Giphy appear on some of the most popular apps today including Instagram, Facebook, iMessage, and more. An important aspect of Giphy is that marketing professionals can use GIFs to leverage engagement for these popular apps by using Giphy stickers to promote your brand or event. By using this platform, you’ll allow your users to interact with you through a new and creative way. They can also increase your branding and brand awareness when they share your GIFs with their friends. Red Olive has figured out the formula to get you on your way, making a new content experience for your brand. 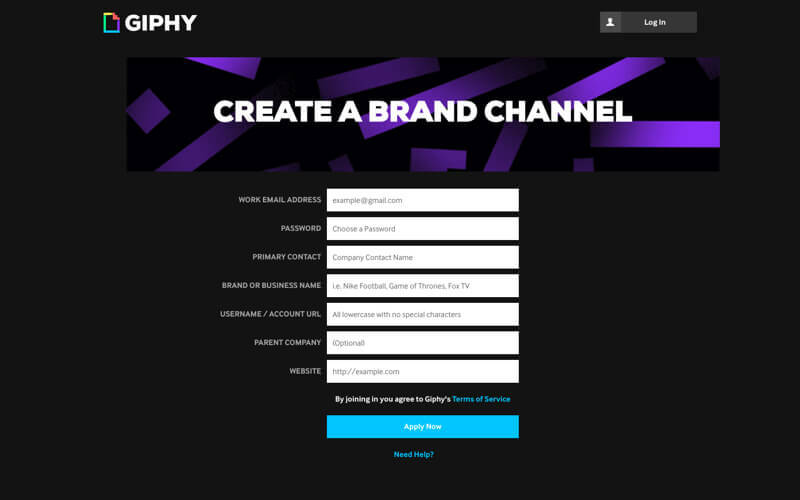 Create a Giphy brand channel (https://giphy.com/join/apply/brand). After making an account, you’ll need to upload 5 stickers or GIFs for approval. Keep in mind that, unfortunately, there is no formal approval process and it seems that Giphy manually handles the approval process. Once approved, you’ll see your stickers live within all the different app environments that integrate with Giphy. Here are some screenshots of the INSTAGRAM environment once your GIFs have been approved and are added within the API of Giphy. After your GIFs are added to the API, make sure that all tags and titles attached to them are appropriate. This will make it so that people can easily find your stickers. The more creative you are with Giphy, the more engagement you’ll receive. That’s why we encourage our clients to get as innovative as possible with their stickers. Creative stickers with lots of movement get selected more often than others. In fact, you can test this theory. After uploading your GIFs, your Giphy account tracks analytics on your sticker, how often it’s viewed, and how often it’s used. Getting socially creative is the new Wild West of digital marketing. Giphy has provided a medium for innovation that social media users are looking for. Start using stickers for new marketing initiatives with your clients and you’ll see greater brand engagement throughout a variety of social platforms. Whether it’s to promote a business event or increase awareness through social sharing, get out there with Giphy. Giphy is the new wild west of social and as pioneers in digital, we know that this medium is full of marketing gold! Want to learn more? Stay up-to-date on the newest marketing trends and sign up for Red Olive’s newsletter. Fill out the form to get in contact with our sales department and get started on your content branding.